While a large number of dealerships hire 3rd parties to manage SEO for dealership website, there are other dealerships that manage the SEO work in-house. This article is for these dealers to ensure they get the best possible ROI on their sweat equity. Keywords – Your dealership should be careful when choosing keywords. If you choose key phrases that no one searches for, very few people will see your site. On the other hand, if you pick keywords with too much competition, they might not see your site either. The key is to choose words that have a high search volume but not too much competition. Keywords can impact your reach significantly. Your dealership should also be careful not to use too many keywords on page or in one article. When articles are full of key phrases, people have a hard time following. Google also penalizes your rank when keyword stuffing is used since it recognizes those articles to be spam. Content – Make sure to provide your customers with original, relevant content. When your content is copied, or when you use an automatic generator to spin information from another site, it can hurt your Google ranking. You need to provide value to your readers with the content you post. If you get a lot of traffic, but your content is bad, those potential customers might never return to your site. Look for current trends or questions in the auto industry to find topics people want to know more about. Audience – You need to keep in mind that your audience is potential car buyers, not Google. Even though Google can have a big influence on the traffic off your article or site, it’s important to remember that your content should be targeted towards your audience. When you focus your attention too much on computers, ranking might go down because your article seems like spam. People often stop reading articles if they don’t make sense, they use too much jargon, or they don’t have good information. You should often assume that whoever is reading your article is reading it because they have no prior knowledge on the issue. Quality – Your posts should be free of spelling and grammar errors. Too many mistakes of this kind could make your dealership seem unprofessional, uneducated, or lazy to potential car buyers. When readers are too distracted by spelling errors, they often stop reading and move their attention to something else. You should also be careful not to focus too much on the number of articles your dealership puts out. Quality trumps quantity here in a big way. Two high-quality posts will help your dealership much more than 10 posts with unoriginal content that is stuffed with keywords and looks like spam to Google. Links – Not linking your articles to any other resources can hurt your dealership. However, irrelevant and low-quality links won’t help either. Before you direct your readers to another article, do your research to make sure that it’s a good idea to associate your dealership website with that. Your posts should have both internal and external links for the most success. Internal links give readers a chance to read about related topics from your dealership. External links prove that you care more about giving readers the most useful information out there than keeping them on your site. Links help inform Google that your article is relevant for readers. Promotion – If you’re not promoting your dealership’s blog posts, very few people will ever read it. You should be sharing them on social media and through other media channels. Social media is exploding, and that means there are an unlimited number of potential car buyers at your fingertips. Take advantage of the opportunity by encouraging readers to share, like, retweet, or love your posts. Details – Every detail is important to stand out in the crowd of blog posts. Your dealership’s website and articles should load quickly for readers. When people are short on time and have plenty of options, you could lose a potential customer in that first step. You should also be using local SEO since most of your customers come from your surrounding areas. Your dealership needs to have a mobile friendly website. If you want people to read your articles in the little spare time they have, your dealership needs to give them a mobile way to do that. These issues are few of the most prominent mistakes dealer can make. Don’t ignore the recommendations just because they are obvious or simple. If you need our help, feel free to visit our contact us page and ask your question, we are only a call away. 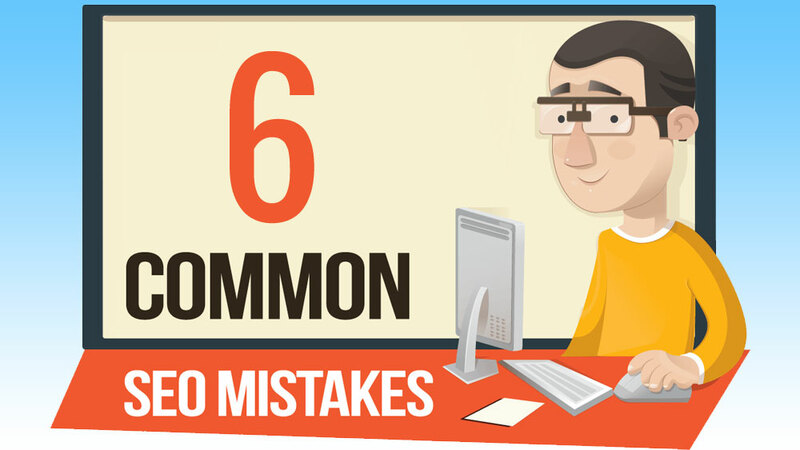 Comments 0 Response to "Six Common SEO Mistakes Dealers Should Avoid"